Poke, pronounced po-kay for those of you who are wondering, has quickly emerged as a popular food trend. And despite the fact that we live in a landlocked state here in Arizona, poke has made its way here from the Hawaiian Islands and by way of beach towns. And it’s easy to see why. 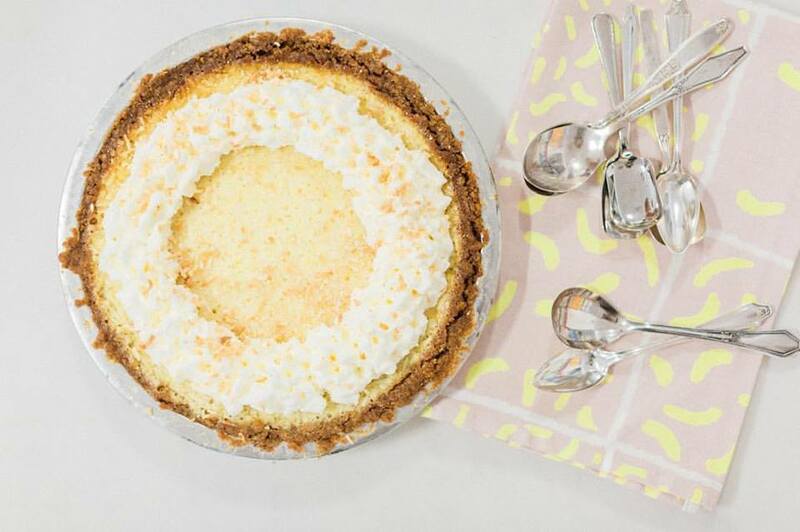 It’s a simple dish, light, and refreshing; three factors that make it perfectly-suited for Phoenix’s hot temps and warm seasons. And with summer on the way, we thought that we’d share our recipe for tuna poke with you, enjoy! We like to begin with the agave ponzu. It’s simple, to make the agave ponzu, whisk all ingredients listed above together, then set aside. Next, combine your ahi tuna cubes, green onions, cilantro and your jalapeños in a mixing bowl. Dress the ingredients with the agave ponzu and stir using a spatula until it’s thoroughly mixed. Add avocado in and stir gently to avoid bruising; because nobody likes mushy brown avocados. When you’re ready to serve, serve your ahi tuna poke in a chilled bowl and garnish it with sesame seeds and a little something citrusy such as lime wedges. 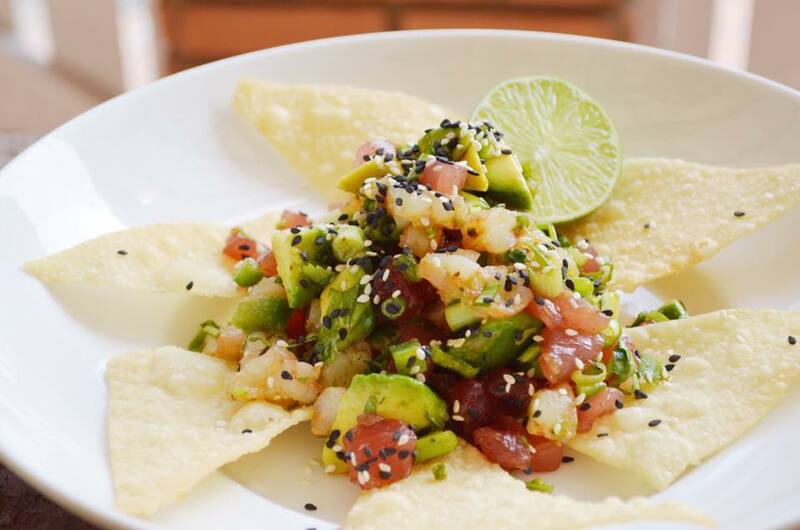 We suggest serving your ahi tuna poke with wonton chips, but tortilla chips or sliced vegetables are just as tasty. Happening on Saturday April 14 through Sunday April 15, the Scottsdale Culinary Festival will bring together all of the good things in life, like local food, libations, and live music. 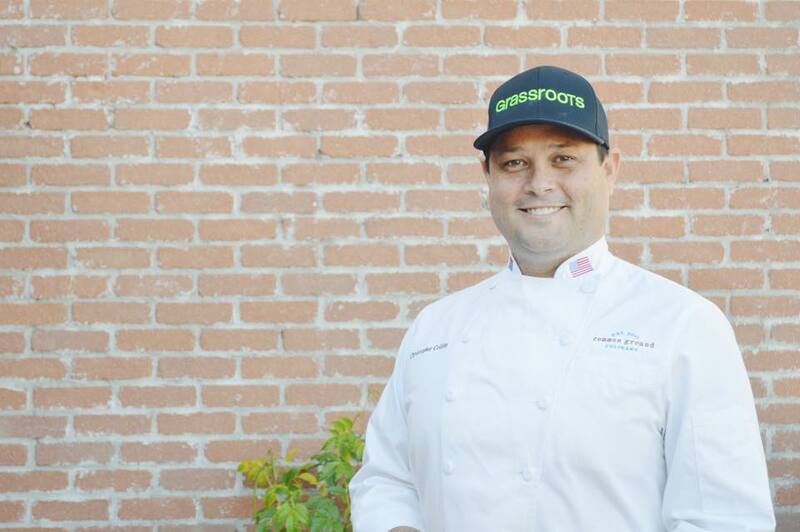 The multi-day festival will take place at Scottsdale Civic Center Mall and our own Chef Chris Collins is teaming up with the folks from Phoenix Magazine for a special showcase featuring wines, beer, and spirits from across Arizona at the festival. Here are a few reasons to come out and celebrate the 40th anniversary of the Scottsdale Culinary Festival with us this April. Taste what local restaurants across the Arizona culinary scene are offering up, from barbecue and classic American-style noshes to European fare and Latin-inspired eats, a variety of cuisines will be available to sample. Making its grand debut this year, Liquid Arizona, presented by Hensley Beverage Co., will showcase local wines, craft beer, and spirits from across the state of Arizona. Liquid Arizona will feature multiple beverage booths as well as tastings that will be focused exclusively on spirits from our state. There will even be a cocktail class called “Outside the Box” that will feature cocktail recipes from our restaurant. And don’t miss the seminar on shandies. The beer cocktails are a specialty at our sister-restaurant Twisted Grove Parlor + Bar. A sort of throwback the 90s, the two day festival will see megahit headliners EVE 6 and Everclear on Saturday. Additionally, over 25 bands will perform across four stages throughout the weekend. All entertainment is included with a $12-$15 general admission ticket. The weather is heating up and if you are looking for a good way to wet your whistle on a sunny Arizona day, look no further. 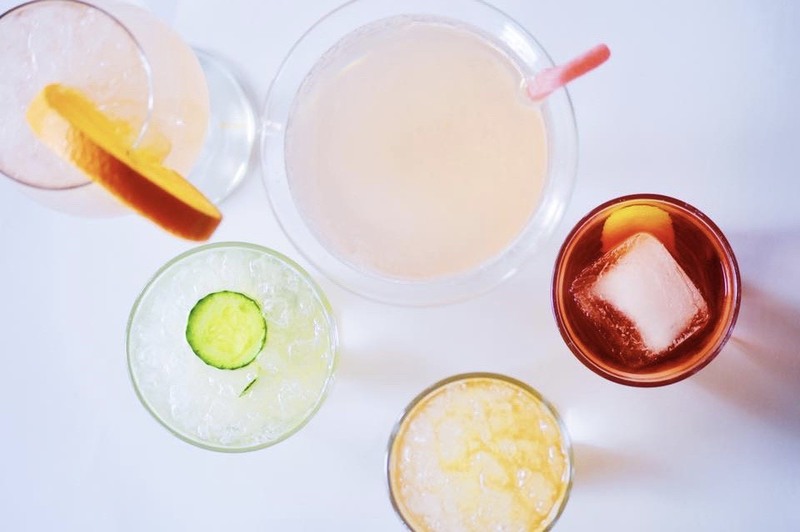 We have got you covered with our top drink picks for a warm weather day. 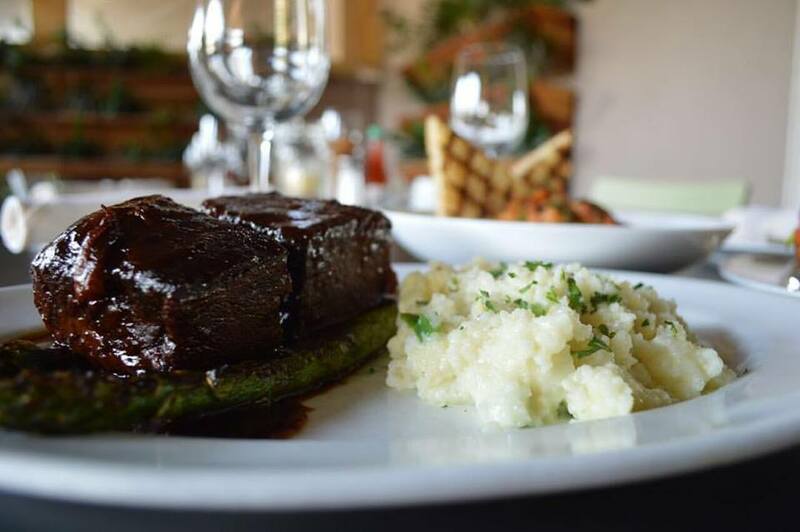 At Grassroots, you can find a variety of Southern-influenced dishes on our menu. The same goes for our drink menu, where you can spot our Georgia Iced Tea. This spiked iced tea is constructed with 360 Peach Vodka, Bacardi, peach puree, lemonade and finished with iced tea. Our take on the signature Moscow Mule, the Grassroots Moscow Bull combines Deep Eddy small batch vodka, ginger beer, lime and Red Bull. 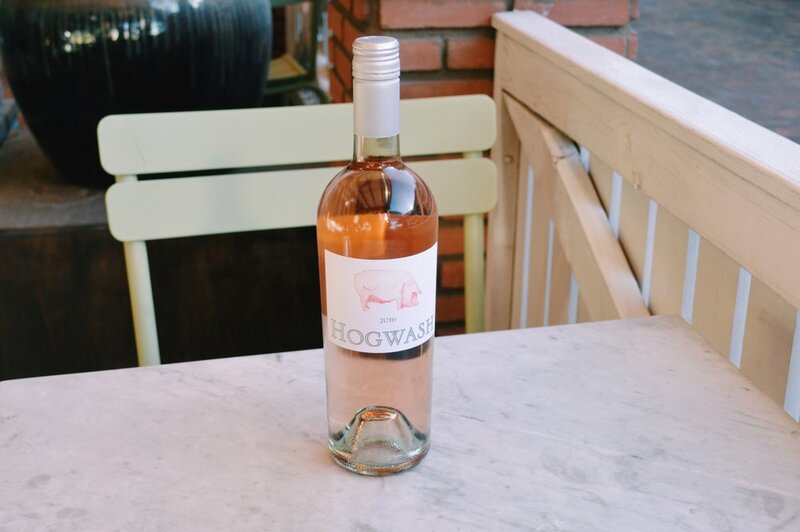 From Arizona’s own Graham County, Provisioner Wine’s white blend is dominated by peaches and white flowers at the nose, and is complemented with more palate-pleasing peaches and apricots. The wine really shines when paired with simple seafood dishes. Enjoy it by the glass, or bottle. This pretty little cocktail is made with Deep Eddy Vodka, a splash of bubbles, chamomile-lemongrass syrup and is garnished to perfection with a sweet, pink-hued candy wedge. Sangria of any color is practically synonymous with springtime and summer. The warm weather-friendly spirit can be served up in a glass, or you can order a pitcher to share for $21. Our White Sangria is good, too good to give out the recipe. But we will give you a hint: we use lots of fruit. Support Arizona’s beer scene and drink local with SanTan HefeWeizen. This Bavarian Wheat beer is a satisfying thirst quencher on a warm day. Enjoy discounts on your favorite drinks during Social Hour, our take on happy hour, happening daily from 3pm to 7pm. Check out our entire wine, beer and cocktail list here. At Grassroots we have over two dozen different wines by the bottle or glass to choose from. Ranging from premier wine growing regions the country-across, from Napa and Washington State’s Columbia Valley to right here in Arizona. Fill your glass with one of these three wines on your next visit. Find some southern comfort at Grassroots on January 22, on what might be one of our most favorite foodie holidays to date, National Southern Food Day. Southern food lovers can always get their fill of down-south eats at our restaurants, but we thought that we’d share five of our personal favorites to enjoy. Dressed all the way and tucked in a French baguette, this po’ boy doesn’t lack rich flavor. Chef’s Shrimp Po’ Boy is served with his iconic Nola remoulade and is an obvious pick for National Southern Food Day. A true southern classic, Chef Collins combines Gulf white shrimp, Tasso ham, which is a specialty of Louisiana cuisine, jalapeno cheddar grits and hearty slices of focaccia to complete this full-flavored shrimp and grits dish. Bring your appetites, southern food lovers, you might need a to-go box for this one. Slow-smoked with a thin bbq sauce and grilled to finish, Chef Collins’ Carolina Baby Backs are worthy of writing back home to Carolina about. Our soup of the day menu perfectly coincides with National Southern Food Day, which is happening on a Monday this year. 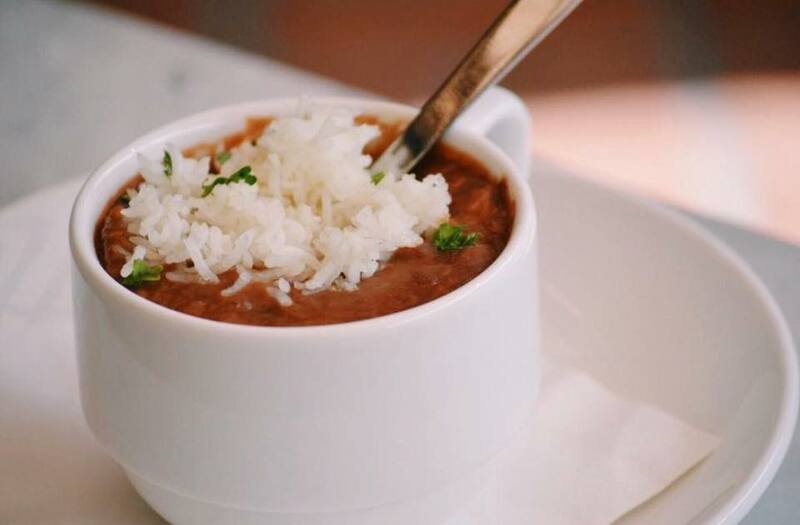 Each Monday diners can savor Chef Collins’ Louisiana Red Beans and Rice soup, available in a bowl or a cup. Salmon gets a southern makeover with this sharing plate. Chef Collins smokes his salmon with cherry and applewood flavors to make this tastebud-pleasing appetizer. The shareable app is finished with Collins’ signature Nola remoulade and toast points. AZCentral is taking over Salt River Fields again. The Food & Wine Experience is back, and this year it’s bringing together an impressive amount local culinary talent, and internationally-known culinary superstars. Our own Chris Collins will be heading out to join in on the food-centric spectacle. Here’s six things to know before you go. This year, festival attendees have the chance to meet Martha Stewart. That’s right, the Emmy award-winning television show host and best-selling author is coming to Scottsdale. Martha will be sharing her culinary knowledge live at the Martha Stewart Experience, where guests can have a rare “up-close” experience with the lifestyle leader. Although the experience will require a special ticket, it’s well worth it, as it includes wine tasting, a Martha-curated gift package, book signing, two complimentary bottles of wine, access to the VIP Grand Tasting and much more. AZCentral Insiders can get $15 off tickets for the festival. Admission ranges from $85 to $325. Fancy fine wines? We sure do. If you’re like us, this event is for you. There will be a hefty selection of spirits, including over 200 fine wines, craft beer and spirits. Come hungry! The Food & Wine Experience will offer an unlimited sampling from more than 35 participating restaurants.